Your driver’s license will be suspended for at least 180 days. You will not be eligible for any type of federal student loans or grants. To avoid these two problems your case must be dismissed! At the Law Office of Lance Turnbow, I am a drug possession attorney in San Marcos, Texas, dedicated to providing the best possible legal defense to possession of marijuana charges. I routinely get possession of marijuana charges dismissed – or declined (never even filed). My goal as your attorney is to make you eligible to completely expunge your arrest and case from your record. In most counties, I can do this without you doing any type of supervised probation. I’ve handled marijuana cases all over the state of Texas. When you call or come in for a consultation I can tell you exactly what to expect in your case. I can tell you how your specific county, prosecutor, and judge view marijuana charges. Many of my clients are surprised to find out I can get their cases completely dismissed even though they seemingly have no good defense to the charge. There are always things that can be done to get the best possible outcome. I can also instruct you on what you should be doing to help yourself while I handle things in court. How Is the Possession of Marijuana Charge Classified? A possession of marijuana charge will be classified as either a felony or a misdemeanor depending on the amount (in ounces) of marijuana alleged to be in your possession. The most common marijuana charge in Texas is the Class B misdemeanor variety – for possession of fewer than 2 ounces. Even though states like Washington and Colorado have de-criminalized marijuana it is still illegal in Texas and that probably won’t change anytime soon. In some areas (like Travis county), the arresting officer will issue a field release citation for possession of marijuana charge. This means you report at a later date to be booked and processed. Many people don’t understand that even though they were not initially taken to jail on the charge there is still an arrest record that must be expunged from your record. Also, even though a defendant is issued a field release citation they still must go to court and handle the charge just as they would if the officer arrested them initially. I also represent people in need of a drug lawyer who have been charged with drug possession charges including everything from prescription drug charges to methamphetamine and cocaine. Many drug charges come from routine traffic stops. I routinely win suppression hearings by arguing that my client was improperly stopped or searched by law enforcement. A good criminal defense attorney knows how to hold law enforcement accountable for improper police procedure. Just because you were caught with something illegal does not mean the evidence was obtained legally! How Is the Possession of Controlled Substances Classified? 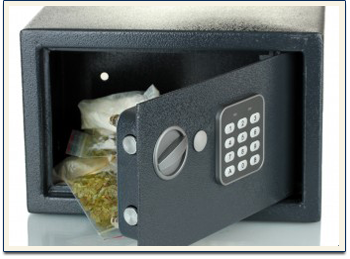 Certain controlled substances start at a felony level even in the smallest amount. Things like cocaine, methamphetamine, and heroin are part of that list. Many people are surprised to know that hash oil, commonly referred to as “dab” or “wax” is also a felony in any amount. The number of arrests for hash oil has quadrupled in the last two years. Many of my clients are students at Texas State or The University of Texas. Students frequently use substances like Adderall (sometimes prescribed, sometimes obtained illegally) to help with concentration and preparing for exams. Most are shocked to find out that even one Adderall pill without a prescription carries a felony charge! As an experienced controlled substance attorney I also handle many prescription drug cases. Adderall, Xanax, and Hydrocodone are some of the most common. Many counties like Comal and Travis have implemented “drug courts” where defendants are assigned terms of probation and if completed, their cases are dismissed. However, there is a big problem with drug courts. It is so time consuming and has so many requirements that many defendants cannot successfully stay in compliance. If you have little to no criminal history I can usually find a way to avoid a conviction without you participating in a drug court program. If You Are Facing Controlled Substance Charges Contact the Law Office of Lance Turnbow and I Can Explain Your Options and Create a Plan to Get You the Best Possible Outcome for Your Case.